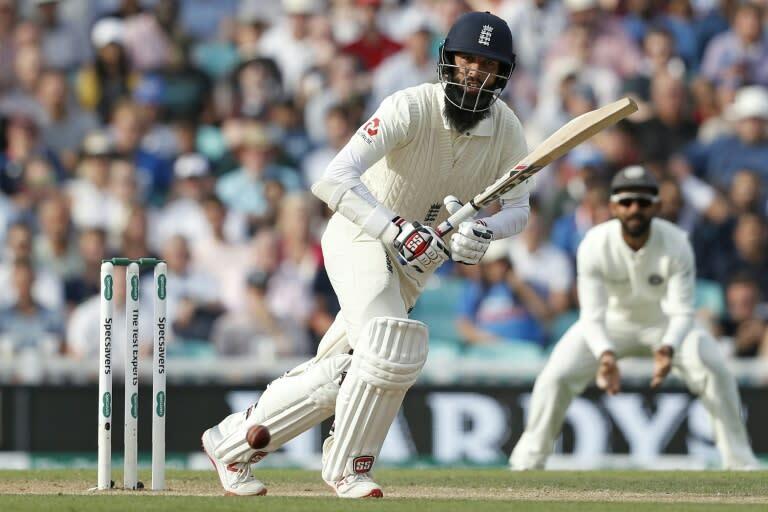 England’s Moeen Ali, pictured September 9, 2018, alleges that he was called “Osama” by an Australia player during the 2015 Ashes seriesMoeen Ali found himself making headlines on the field as well as off it after he led Worcestershire to the English T20 Blast title with victory over Sussex in the final at Edgbaston on Saturday. Earlier, Cricket Australia (CA) responded to Moeen’s damning comments by saying it was launching an investigation, saying the remark he’d allegedly heard was “unacceptable”. Moeen, a 31-year-old practising Muslim, said he was on the receiving end of the slur, a reference to Osama bin Laden, from an unnamed opponent during his Ashes debut against Australia in Cardiff three years ago — a match where he scored 77 runs in the first innings and took five wickets. Moeen said the Australia player in question had denied making the comments to him at the time.